Did The Earth Move For You …? It was late – just after midnight – and the rest of the family had gone to bed. I wasn’t that tired myself and I’d reasoned it was probably better to stay up reading with the dying embers in the wood burner rather than climb between the covers and spend an hour contemplating the darkness. I had actually become pretty engrossed in the story anyway. The hero was in peril, locked in battle with his nemesis on the high seas – so it was quite an appropriate moment for my armchair to start lurching backwards and forwards. Thinking it was one of the family come to tell me I really ought to be sleeping, I made an impatient gesture without looking round. The rocking continued for a few more seconds and then ceased. Finishing my paragraph, I looked round ready to ask why a simple few words were not enough to attract my attention to the time of night – but there was nobody there. Come to think of it, I hadn’t heard the sounds of anyone coming down the stairs either. Puzzled, I even looked beneath the furniture to see if one of the cats had somehow managed to get beneath the chair – but then it dawned on me. I’d probably just experienced my first earth tremor. We’d been told they are actually quite common in the part of Turkey where we live. After all, our home is in the coastal region of the Taurus Mountains and a fault line passes quite close to Fethiye, although some distance out to sea. Nevertheless, feeling the earth move beneath you for the first time – and in the dead of night – is a little unsettling. Inevitably, the next few minutes were fraught with expectation of another quake – but there was nothing. In fact, as the dog didn’t even stir from her slumber, I even began to doubt what had happened. However, a quick glimpse at Facebook soon changed that. 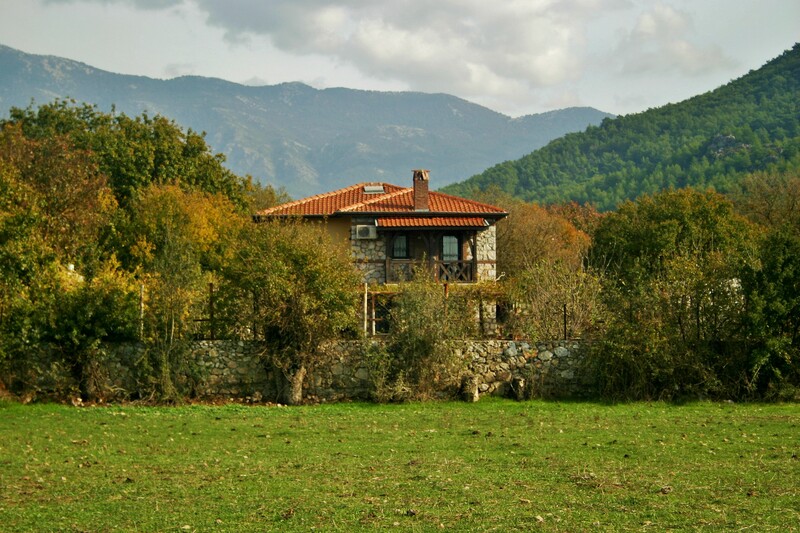 Our house is in the shadow of the Taurus Mountains which divide inland Turkey from the Anatolian coastline. The ex-pat forums were full of OMGs and earthquake hashtags. It seemed the tremor, measuring 5.3 on the Richter Scale, had been felt pretty widely across the region. Cutlery had jangled in drawers, light fittings had swayed but, happily, there were no reports of damage. While I was scrolling through the rapidly expanding stream of comments, our daughter suddenly appeared on the stairs. “Yep. That was your first earth tremor,” I said with as much nonchalance as I could muster. As I got ready for bed myself, my new dilemma was whether I should be impressed by our daughter’s apparent insouciance or whether I should be waking the house, jabbering about escape routes, torches and pre-prepared “grab bags”. I was still mulling it over when I fell asleep. Since then, there have been a few more less-violent tremors. Indeed, friends have told us you get used to them after a while and only to worry if you spot locals hugging trees. Nevertheless, I now keep my clothes, my shoes and a torch close to the bed at night. 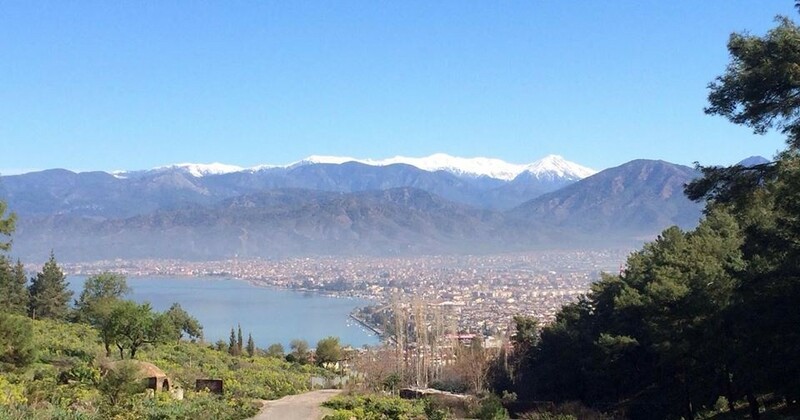 This entry was posted in Life challenges and tagged Earth tremors, earthquakes, Fethiye, Taurus Mountains, Turkey on December 17, 2014 by theparsleys. I started to get excited when you said the earth moved for you, I thought you had overdone the salsa! Hi Mike 🙂 Not done much of the salsa teaching over here yet. Who knows though … Maybe the chance will pop up one day.